I mean cheesy pizza is so last Thursday. The world is a changin’. We’re putting grass-fed bacon in ice cream and flaked sea salt on chocolate and peanut butter on pizza and it’s all AHMAAAAZING. So when the bloggy boos wanted to do brunch for this month’s theme, I thought, “what better to brunch on than a cheese-less, tomato sauce-less, not the least bit savory yet very round crust of sorts complete with chunky monkey toppings? Sounds just like pizza, right? Right-o. It’s kind of like a circular open face pb nanner sammie. Actually it’s exactly like that. The chickpea flour crust is pretty dreamy because it cooks up in less than five minutes and is packed with fiber and protein. You can find it at pretty much any grocery store these days. For a quicker version, I’ve made a big pancake using Simple Mills pancake mix with an additional egg as the crust! If you’re feeling savory, go back the old favorite, my Chickpea Flour Breakfast Pizza. It’s a real winner, loaded with eggs, salsa, avocado, and green onions galore. Ellie Goulding’s “Explosions” is coming to mind. Flavor explosions, that is. 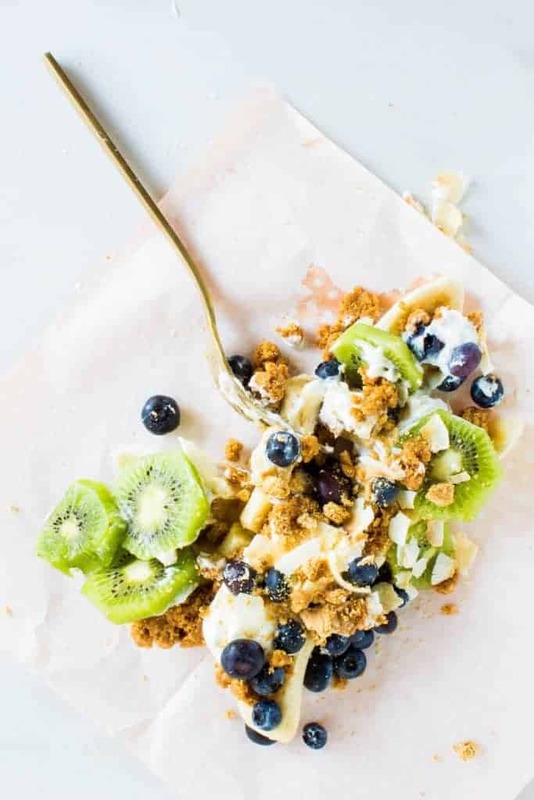 This Fruity Flourless Breakfast Pizza is another heavenly choice! Basically this vegan and gluten-free chickpea flour crust is totally customizable. Swap the almond milk for water and the maple and cinnamon for garlic and salt before slathering it with avocado and red pepper flakes. Avocado toast pizza anyone?! OMG can we please make that a thing?! Insert praying hand emoji here. Heat a medium skillet sprayed with cooking spray over medium heat. Whisk together the crust ingredients until smooth. Pour batter into hot pan and cook for 4-6 minutes, or until firm and easy to flip. Flip and cook for another few minutes, or until set. 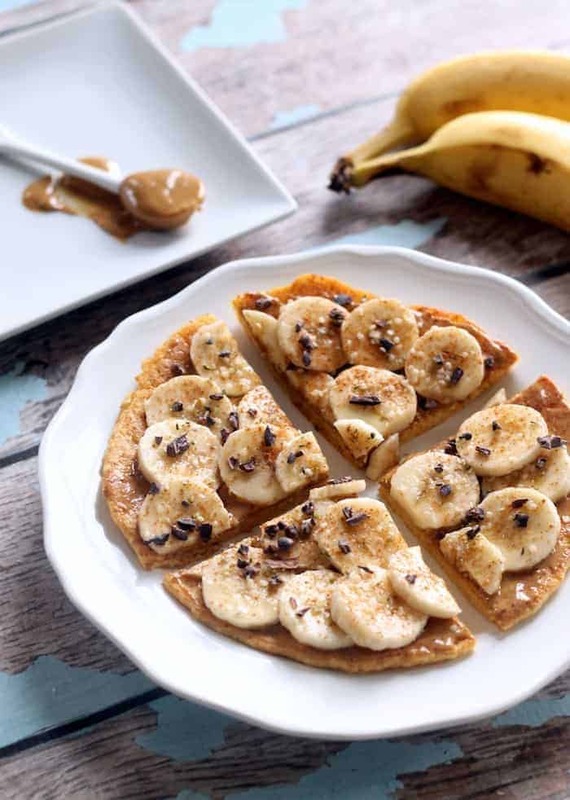 Top with peanut butter, banana, toppings, and pure maple syrup. Lettuce see what the rest of the crew brought to the brunch bash! Arman brought Healthy Flourless Cinnamon Bun Breakfast Cake. Ummm, yum. Kylie’s Breakfast Banana Split has me drooling like a mad woman. 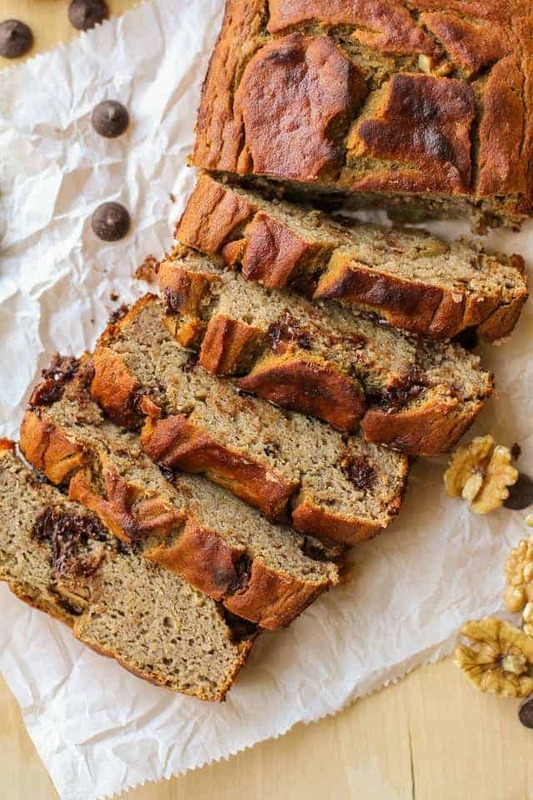 Feast your eyes on Julia’s Grain-Free Chocolate Chip Banana Bread. 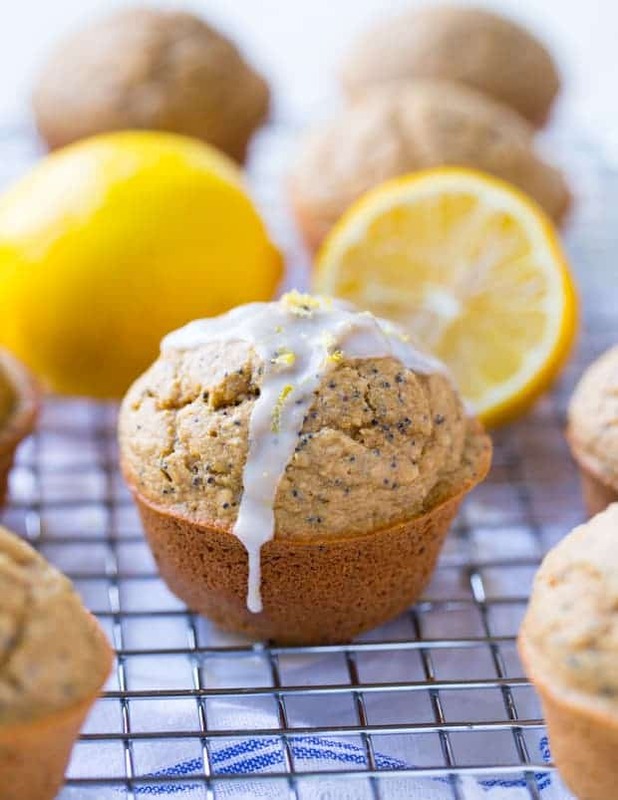 Sarah muffined up a storm with these Flourless Lemon Poppyseed Muffins. 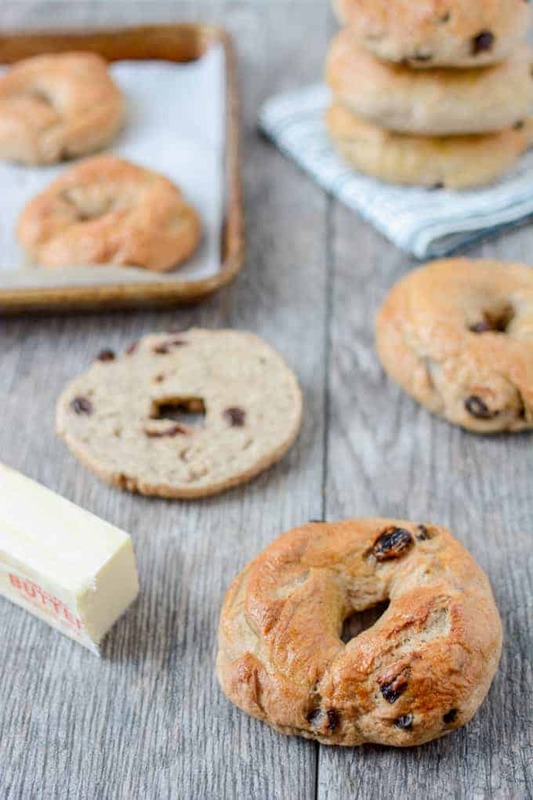 Lindsay created Cinnamon Raisin Bagels!! I’m impressed. I bought chickpea flour two days ago and had no idea how it cook. I make easy hummus though. Thanks for recipe just in time? 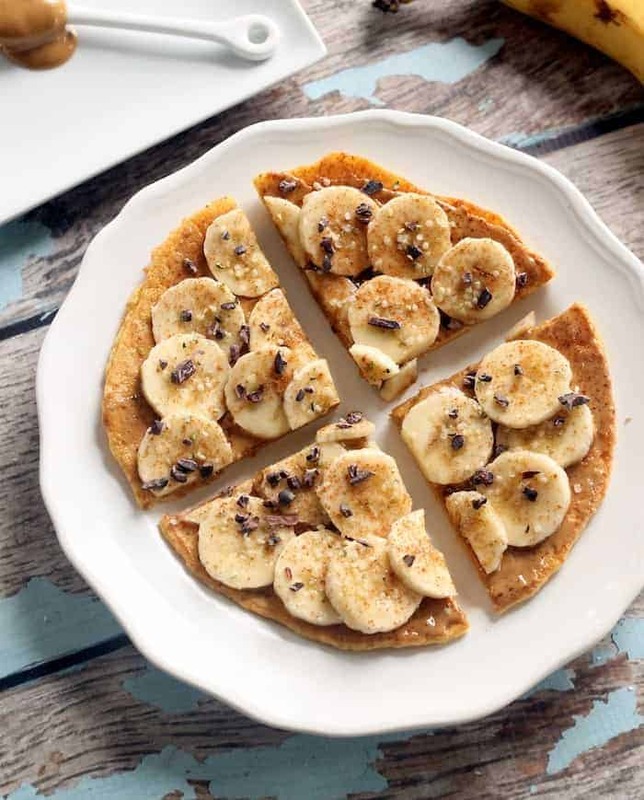 I am sitting here drinking a peanut butter banana smoothie and wishing it was a peanut butter banana breakfast pizza! What a fun recipe. Thanks for sharing. I die for anything peanut butter and banana. Then you went and added protein-packed chickpea flour and this pizza became everything my breakfast dreams are made of. It’s PERFECT. I was also super impressed with Lindsay’s bagels. Those things are the real deal! I wish we all brunch together IRL. Thanks booo! Can we please have a bagel party?! I’ll bring the….Earth balance? Um. Makes total sense! And i’m happy to hear it :) ‘cados are my life. I recently tried a very similar recipe but instead of chickpea flour it had coconut flour, I’d be so interested to taste the differences in the two crusts! Topping it with banana and peanut butter still of course! This looks AWESOME and it’s so healthy+simple. Definitely making it this weekend for breakfast and pizza!? You had me at pizza. Your chickpea breakfast pizzas are LIFE so I would expect nothing less from this one!! I mean, slather some peanut butter on anything and it’s good, right? All my faves in one- I’d like me a slice of this…heck gimme the whole pie!!! This looks like something ELVIS would love – ha ha ha! I would love it too if I could eat peanuts and bananas and pizzas! LOL!!!!! I would smell the crap out of it though, BAH AH AH! 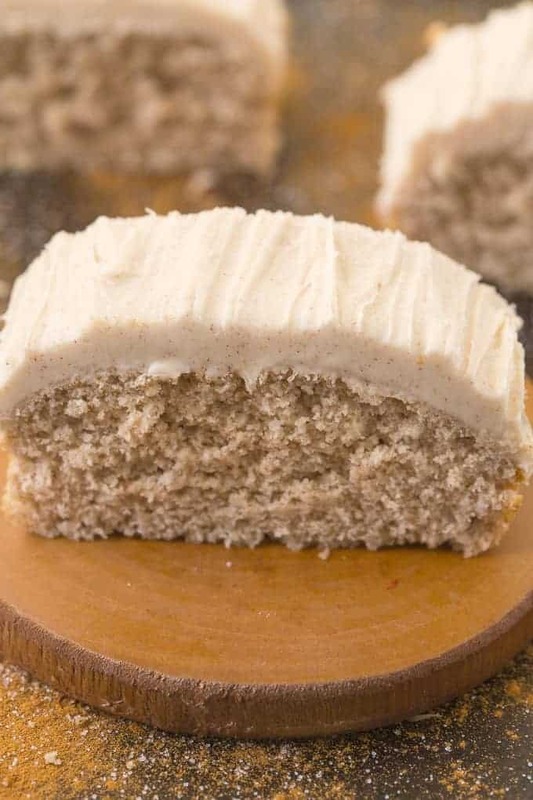 Have you ever tried another kind of gf flour with this recipe? This sounds really good and have every other flour except chickpea. Thanks! enjoy to gain knowledge of morfe and more. Yup, this recipe is so easy to make, but I still can’t get enough of it. Sometimes, instead of peanut butter, I add strawberry jam.